A little moment from my morning. Coca-Cola has a promotion going on right now for personalized coke bottles. 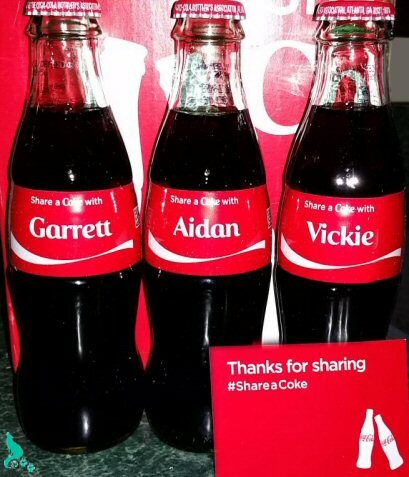 Many people are finding a bottle with their name on it and tweeting pictures with the hashtag #ShareACoke. Now I’m a Coke fan. Diet coke specifically. But I haven’t found a personalized bottle anywhere with my name on it. Not a Vicky, Vicki, or my spelling Vickie. Then I found out that you can order one for $5 at ShareACoke.com. Ok that’s kewl. 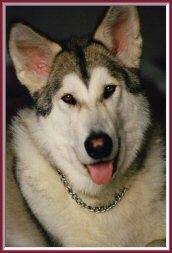 So I went there and ordered one for me and my boys (Daddy and our son <- my boys). 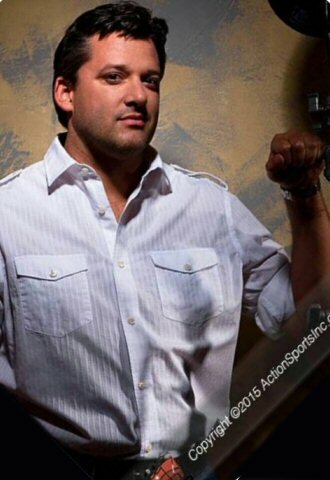 And of course my favorite Coca-Cola Racing driver Tony Stewart. 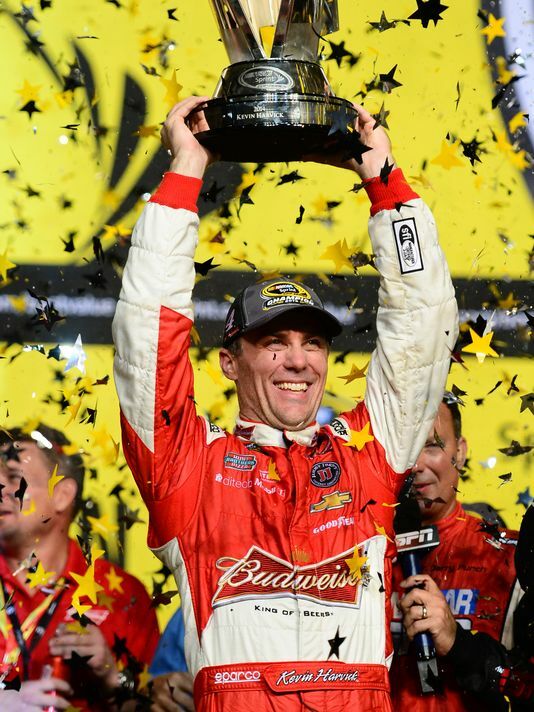 NASCAR has made it easy for you to never miss a race in 2015! That’s right, you can now add race events to your Google, Apple or Outlook calendars complete with a preset 15 minute reminder. Personally I don’t think 15 minutes is long enough to get ready for a race, but ok. You can edit the events and add an earlier reminder once it’s in your calendar. 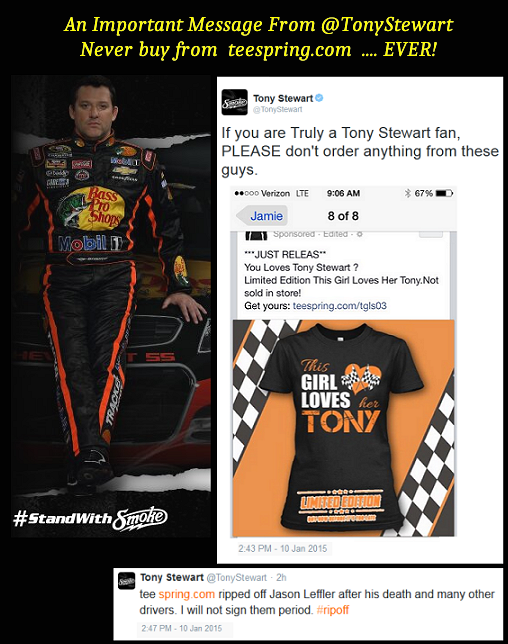 Yesterday, January 10th, 2015, Tony Stewart shared a message on Twitter to his fans! 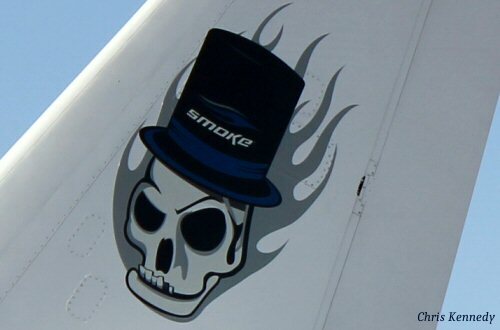 Fan merchandise can be found all over the internet. No matter who you support or cheer for, do a little research to make sure the vendor you’re buying from is on the up and up. Ontario County N.Y. District Attorney Michael Tantillo released a statement on Wednesday September 24th, 2014 to announce the Grand Jury’s decision concerning the tragic death of Kevin Ward, Jr. and Tony Stewart’s part in the accident. 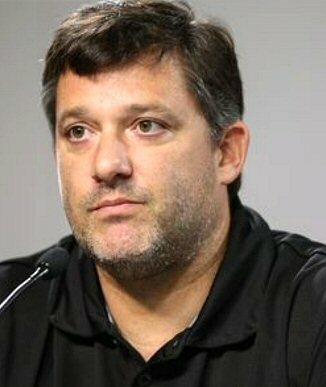 I’ve made no secret that I’m a Tony Stewart fan. 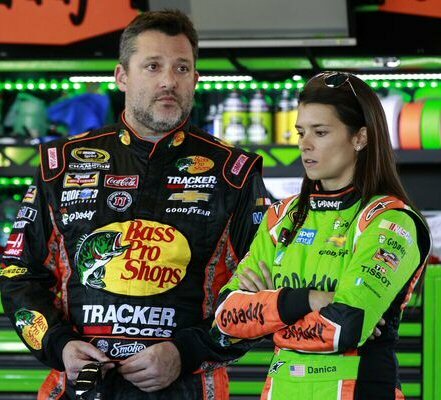 I have been since he stepped onto the stage in NASCAR, which happened back in the late 90s. I care about him, I defend him, and I have a biased opinion. 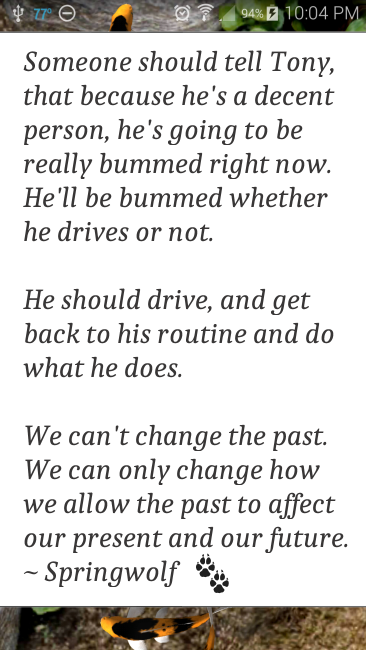 But yes I’ve called him out when he’s done something on the track that he shouldn’t. I’m biased, not blind. 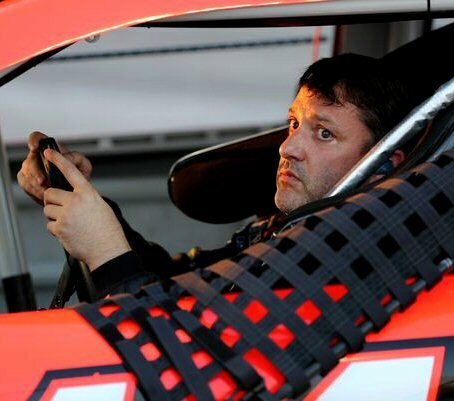 3-Time NASCAR Sprint Cup Champion Tony Stewart, returned to the track this week at Atlanta Motor Speedway! As a fan I’m elated. It takes a lot of courage to come out of safety of your home, no matter how big and beautiful it is; and walk into the lions den. Image having to face the reporters, especially the ones that don’t know you. 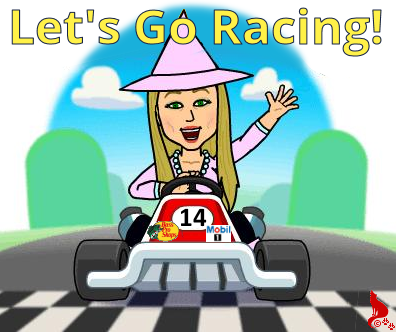 Have no idea about racing and what’s involved. Ready to pounce with ignorant and meaningless questions. Especially when you’re still hurting and grieving over the loss of a young life. Tragedy comes in many forms. Things that happen to us, things we’re involved in and choices others make that turn us into the victim, but no one else notices. I’m a spiritual person, a minister of my faith. On my path, we believe in reincarnation, karma, and that we’re all connected and interconnected throughout the Divine Universe! We are ALL part of the greater Divine consciousness, because we are made from that same star-dust that created the multiverse we live in. Because of this view I don’t believe in the random tragedies or that all events we go through are accidents, nor are they preordained. Rather they are things we, let me rephrase – our greater inner spirit – has chosen to be involved in on a much higher level than our physical selves. In some cases I believe some of these events are extremely and extraordinarily selfless acts of sacrifices given for the betterment of a community, a nation or maybe even the world. Before I go any further, let me once again, publicly offer my deepest sympathies, thoughts and prayers to everyone in the Ward family. This article will not and does not disparage anyone, through judgement or inference about what happened on that tragic night in August. In fact, I believe from my ministerial perspective, there’s a greater Divine act occurring and both Kevin and Tony have made a huge selfless sacrifice for others in the world of racing. Please let me explain.